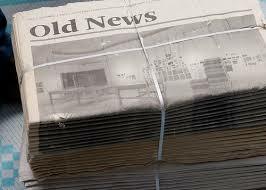 Past News Items: My 37-year-old daughter has Addison’s disease. Because, sometimes Old News is still valid! DEAR DR. DONOHUE: My 37-year-old daughter has Addison’s disease. Many doctors saw her when she was hospitalized a year ago. She had to go back to the hospital because of stomach upset, back pain and dehydration. Her skin has darkened. She was told she would be fine after she started steroids. This hasn’t happened. She is constantly sick. Do you have any good news? — L.K. ANSWER: With Addison’s disease, the adrenal glands have stopped producing their many hormones. Those hormones include cortisone and aldosterone. Cortisone gives us energy, combats inflammation and figures into many of the body’s most important functions. Aldosterone is essential for blood pressure maintenance. Without adrenal gland hormones, the skin darkens, especially the elbow skin and the creases in the hands. Treatment is straightforward: Replace the missing hormones. Maybe the dosage of her hormone medicines needs revision. If she’s hasn’t shortly turned the corner, she should get a second opinion from an endocrinologist, a specialist in this kind of illness.